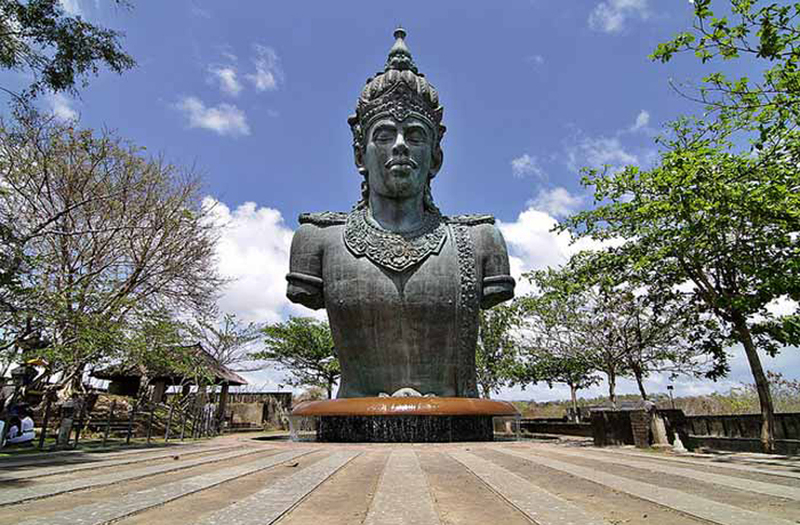 Garuda Wisnu Kencana is located in the southern Badung area, is a great places to visit during Bali Uluwatu tour. It has 240 hectares of land area. There are Supporting facilities that you can enjoy like lotus pond, festival park, amphitheater, street theater, exhibition hall, and jendela Bali the panoramic resto and souvenir shop as well. 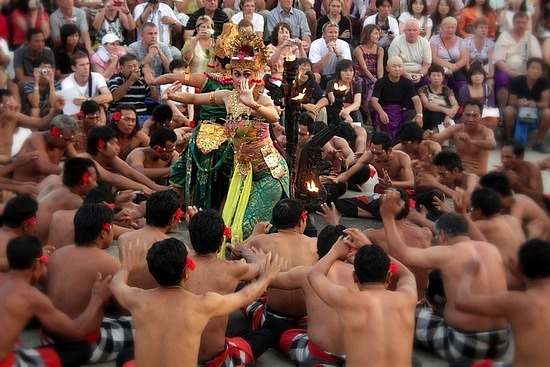 There are many cultural performances every day at GWK. Located at Jalan Labuan Sait, in the village of Pecatu, Bali. Located not too far from the tourist area of ​​Uluwatu Temple and one of place will be visit on Uluwatu Tours. To get to this beach, we had to descend the stairs are made in the cliffs. White sandy beach stretching ahead of you, clear blue water and flat, perfect for swimming. This beach is the place where the movie Eat Love and Pray took a shoot. Uluwatu Temple sits on a 70 meter high cliff protruding above Indonesian Ocean. 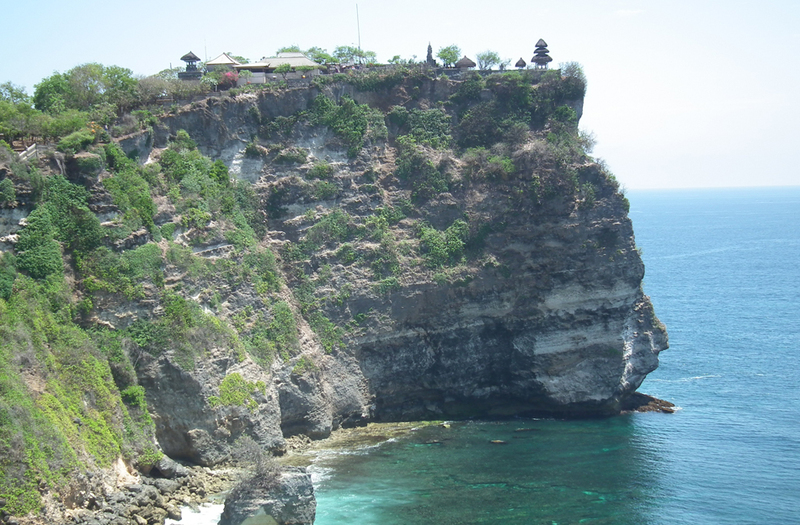 The main site of Bali Uluwatu tour is visiting this temple. There are hundreds of monkeys roaming along the path outside the temple. A small forest lies at the front and hundreds of monkeys dwell here. They are believed to guard the temple from bad influences. This is one of the best place to see a sunset. Kecak and Fire Dance is a spectacular traditional dance tell story about fragment from the Ramayana, the Hindu epic which finds its expression in many forms was held near of Uluwatu Temple. Kecak dance is that the accompanying music is provided by the human voice, the gamelan suara, a choir of a hundred men or more sitting in concentric circles, swaying, standing up, lying prone as the story develops. You can enjoy the sunset while we are watching this performance. This is the famous dance that you can find in Bali Uluwatu tour. Jimbaran Bay Beach was always just a small fishing village and beautiful beach located in the southern part of Bali with white sand unfolding along the coastal. One of best things to do when on holiday in Bali is to eat grilled fish on the beach at Jimbaran Bay in the evening. Though not the bargain it once was, visitors love it because its a unique experience. When you mention the word ‘Jimbaran’ anywhere in Indonesia and people often will make the connection with grilled seafood with the table on the white sand.